1. There were two main things on peoples mind this week. 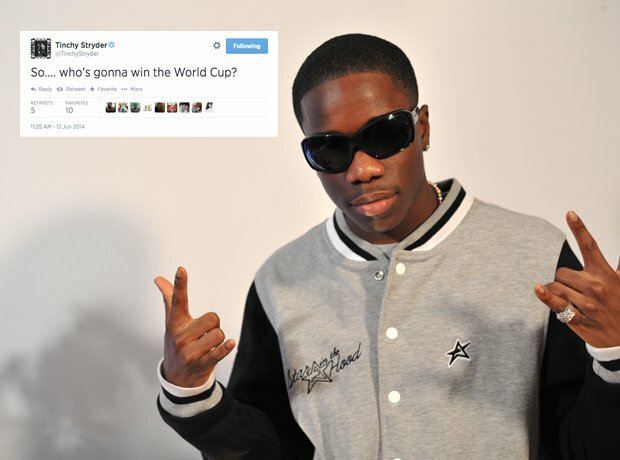 One was what Tinchy said. 2. And the other was what Wretch 32 said. 3. Meanwhile, Rihanna became an auntie this week. 4. DJ Fresh got a surprise when he sat down to watch some daytime TV. 5. Martin Garrix and his DJ friends were imagining what things would be like if they were in Brazil! 6. Chris Brown has a message for his fans. 8. Diplo found a way to fill the time when things didn't go his way. 10. And Diddy had some words of wisdom for his followers.